Telangana State Hyderabad District Cooperative Central Bank invite to Staff Assistant / Clerks and Assistant Manager posts Recruitment 2015 Notification. Who are interested and Eligible Candidates Apply online application in Official website. 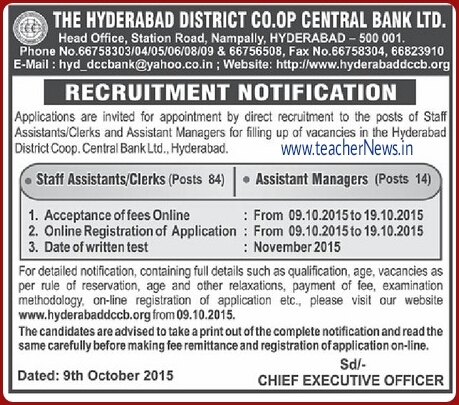 Candidates can apply online only from 09-10-2015 to 19-10-2015 and no other mode of application will be accepted.